One of my favourite podcasts Macro Voices recently had a guest on to discuss Canadian Real Estate. You can listen to the full podcast here. The interview features Joshua Steiner of Hedgeye Risk Management. The interview had some insightful data on Canadian Real Estate and the economy from a macro perspective. Here are just a few highlights from the slide deck. 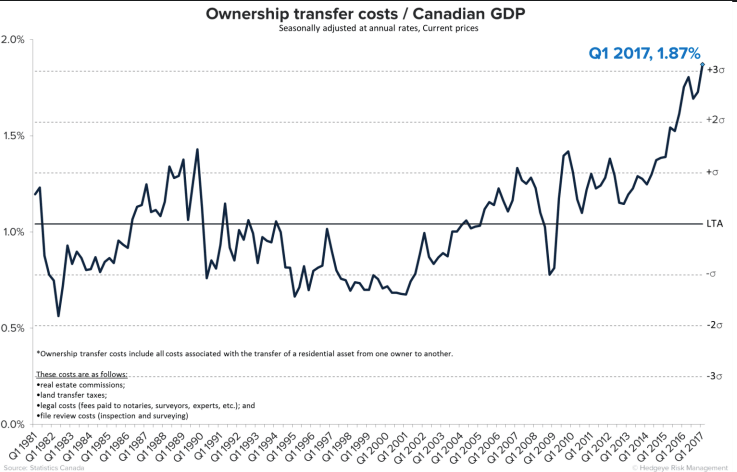 Real Estate broker commissions, land transfer taxes, and legal fees all of which make up a typical real estate transaction, now equate to nearly 2% of Canadian GDP. This ridiculously mind blowing state equates to more than 3 standard deviations above it’s long term average. One way to avoid a financial crisis is to try and borrow your way out of it. This was the go to policy in Canada during the 2008 meltdown, as you can see in the chart below. 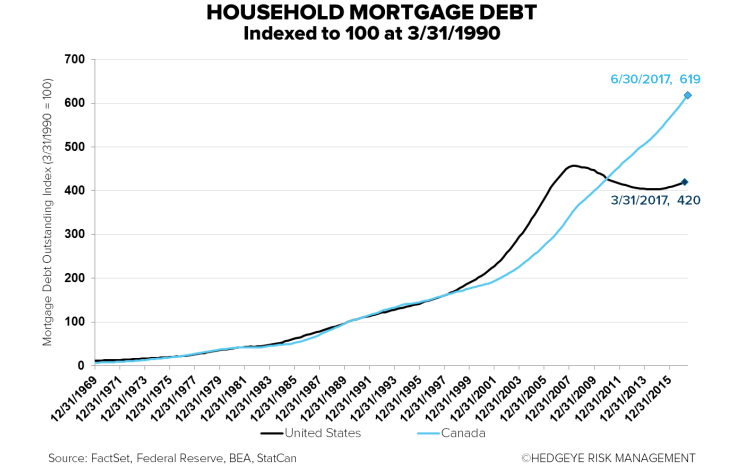 Canadian mortgage debt has outpaced our neighbour to the south since 2008. 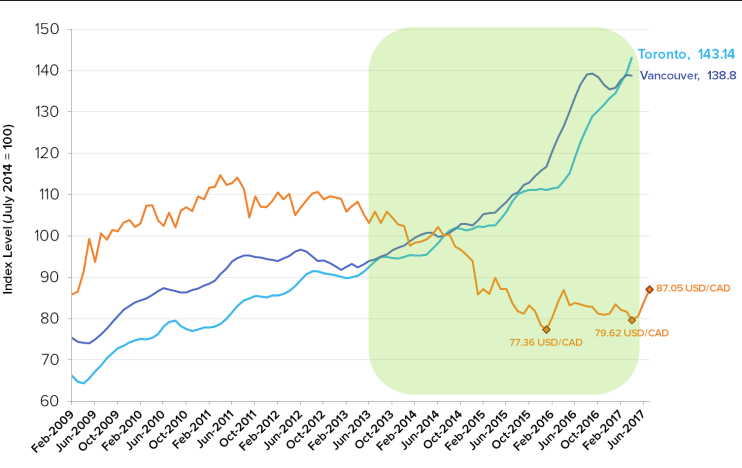 The speculative rise in major Canadian housing markets is coincident with the 29% decline in the $CAD from July 2014 to January 2016. Of course this also lines up with the huge flood of Chinese capital that kicked off the party in early 2015 as the detached housing market surged. These will be metrics to follow in 2018 and alludes to how complex and intertwined the financial markets are, which is critically important considering Vancouver is in the global spotlight.